Thanks to our sponsors on Patreon, we’re now able to offer transcripts of our interviews! If you want to become a patron, too, click here to check it out! Brandilyn Collins learned long ago about the real power of prayer. She’s seen it change—and save—lives. And she’s experienced this power for herself, over and over. Come hear what she has to share. You’ll never look at prayer the same way again. Erin: Welcome listeners, welcome to The Deep. And you can probably hear I’m smiling as I’m welcoming you because I’m so delighted. Today we have a guest with us, and her name is the wonderful, fabulous Brandilyn Collins, and I’m going to let Karen introduce her. Karen: Brandilyn likes to say I had no life before I met her, which in some ways is true. I met her so long ago that we can’t even remember exactly when it was. The best we could figure out just now is that it’s been almost twenty years that we have been friends, so of course I met her when I was around fifteen. Anyway, Brandilyn has over thirty books published in the Christian market, she’s known for her Seatbelt Suspense novels, her energetic and insightful speaking about God and His power to change lives, and her deep level of teaching of the craft of fiction. 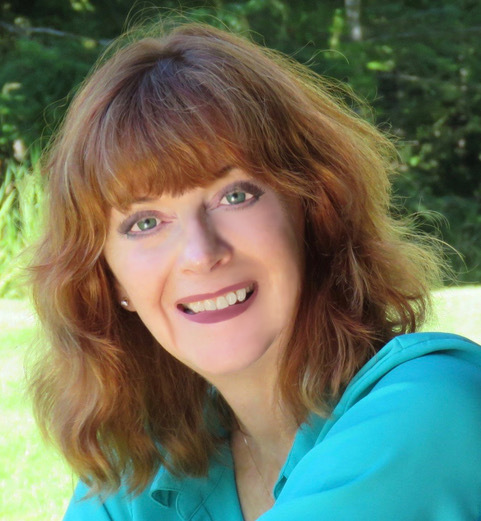 Many of her unique teaching techniques are based on the concepts presented in her book Getting Into Character: Seven Secrets a Novelist Can Learn from Actors. And that’s a great book guys, if you are a novelist and you haven’t picked it up go and buy it now. Erin: I have a copy, you guys, it is good. Karen: Yep. Her first book, called A Question of Innocence was actually a true crime, published by Avon in 1995, so she’s been publishing since she was fifteen. Its promotion landed her on local and national TV and radio shows including, do you remember these, The Phil Donahue Show, the Leeza talk show. Her awards for her novels include the ACFW Carol Award three times y’all. The inspirational reader’s choice, the INSPY, Christian Retailer’s Best award twice and the Romantic Times reviewer’s choice. So, she is highly awarded, highly talented, but I gotta tell you, what those close to her think of when they think of Brandilyn is her prayer ministry. I have learned so much from Brandilyn about the power of prayer and about how we need to surrender ourselves to prayer. So Brandilyn welcome, we are so delighted to have you here. Brandilyn: Oh my gosh thank you so much. After that introduction I’m trying to figure out how I can live up to this. Erin: The beauty is you already have. So Brandilyn, you know, because we warned you, we always, always ask our guests, what does The Deep mean to you? Brandilyn: The Deep to me means living and abiding so close to Jesus that my life is — He’s just with me every minute of the day. And I’m not saying I always manage that. But I’m learning it more and more, what it means to really, really live deeply with Jesus running your day and going with you. And I remind myself, you know, if I’m out I’m living deeply with Jesus, I’m His ambassador out there, whether I’m at a store or driving, whatever it is I’m doing. Erin: I love that. Somebody said recently that we are either obscuring the vision of people that they have of Jesus in us or we’re clearing the way for the vision that people can see Jesus in us, if that makes sense. And that’s exactly what you’re saying, that you are His representative and you want people to see Jesus in you. I love that. Karen: So Brandilyn, like I said, many of us have experienced prayer with you in the ministry you have in praying for people. So, when did you first experience the power of prayer in your own life? Brandilyn: Well if you’re referring to the start of my prayer ministry? Brandilyn: Okay well that’s actually kind of an interesting story. You know I had Lyme when I was — in 2002 I had Lyme very badly, and I went — Lyme disease—and I went from running five miles a day to being crippled and not being able to read and not being able to write and not being able to speak very well and all of that. And in 2003, I had a miraculous healing. At that same conference, I was in the prayer room praying with somebody, she wanted — I don’t even know what she was praying for. There was this deep thing that was happening in my gut again, and it was like this woman’s stomach, her stomach, her stomach, and finally I said, “I know this is going to sound weird, and I don’t know what I’m doing, but God wants me to pray for your stomach.” And she looks at me and she screws up her face and she goes, “Stomach? Like, there’s nothing wrong with my stomach.” Now I would have backed off if God hadn’t had that other thing happen to me just the day before. Brandilyn: But now I know, okay, something’s happening here. It makes me look really stupid, okay, but I have to do this. So, I said, “I don’t know what’s happening, just let me pray for your stomach. If you don’t mind I feel like I need to put my hand on your stomach and pray for you.” So it was a really awkward little prayer like, “Lord I have no idea what this is but bless her stomach, help her stomach, keep her stomach well.” Because God knows, right? Brandilyn: So, it turned out that that woman in the coming years had terrible stomach problems. Went through two or three surgeries. Finally came out healed but could have died during that time. And what that did — interestingly, God didn’t keep the stomach issues from coming to her, but what that did for her is when they came it was a reminder to her that God knew this was coming before any of us knew, and God had us pray and she was going to get through it. She was going to be okay because that was God’s prayer that she had a strong stomach, not ours. It wasn’t our idea, it was His idea. Brandilyn: Isn’t it amazing? I mean just amazing. Karen: So, you’ve always been so good about sharing what God has done in your life, about sharing the healing and all of that. And I remember when you had to talk about the fact that, even though you had been healed, all of a sudden, the Lyme returned, tell us about that. Brandilyn: Yes, oh my goodness. Well first of all, I was healed, and the world saw it. Okay, literally, it was filmed on, what is that show, that show that came out here and filmed, that big Christian show, The 700 Club. Okay, and they loved that segment, they played it over and over and over again and had it on their website and I had it on my website. So, people knew all over the world that I was miraculously healed. Okay, I was totally well, six years, totally well. Didn’t think a thing about Lyme disease, then all of a sudden it came back, six years later. And I was just — I couldn’t believe it, and I went to God and said, “Have you thought this through? I mean, people know you healed me and now Your reputation is going to be ruined because they’re going to see I have this disease again. They’re going to think I was never healed in the first place. Seriously?” It was like all of a sudden God’s entire reputation was on my shoulders. Then I happened to be teaching at Mount Hermon, and I was trying to keep it really quiet that I was sick again, but the leader of Mount Hermon outed me in front of the entire staff. And then I had to say, “Yeah, I’m sick again.” Honestly, I didn’t know what it was all about. All I knew is that I had to pray through it again, and that time I had no miraculous healing it was just meds, meds, meds. I’ve had letters from people all over, “Thank you for helping to save my life. You know I’ve spent forty thousand dollars on doctors and I pick up your book and here’s the answer.” And so, maybe, maybe that sickness had nothing to do with me — was only for others. On the other hand, I mean God is very efficient. He used it in my life, too, to just remind me that okay I had to go through this again, all right I had to pray my way through this again. And it certainly deepened my walk with Him. It certainly did. But it didn’t stop my own prayer ministry, my own prayer ministry that I told you about. It started in 2003, and it has gone on ever since, and ever since I have been able to pray with people, and God just kind of gives me this nudge, you know, “Put your hand there.” I mean if they’re willing, or pray for this, or pray for that. You know it’s just amazing, it’s just amazing what God does. And I think for all of us, whether you have a similar kind of prayer ministry or not, I think it’s a really good idea, before we start to pray with someone about an issue, is just to stop and say, “Lord, how do you want me to pray? Show me how to pray right now for this.” And then just be silent and let Him lead. So often we just blurt out the words. Erin: Yeah, we blurt them out because we think we know the answer, we think we know how it should be. Wow, what a great word: stop, first. Karen: I’ll tell you something, going through the Lyme disease with you and seeing you at Mount Hermon in a wheelchair which just, you know, knocked me solid because you’ve always been so healthy and running those five miles. I’ve always envied you that you have the fortitude to do that, and then to see you like that it was such a shock. And then the healing and that was amazing and I remember, when the Lyme came back. And I struggled with it, you know, from being a friend who cared about you and who’d been so amazed by God’s healing. And God spoke to me and taught me through that that we need to recognize that we don’t know — exactly what you were talking about where you said maybe this is why that happened—we don’t know for sure why that happened but God does. And when we’re dealing with God in prayer, it’s a process, and He doesn’t always—the answer isn’t always one and done. Often times there is so much more involved in what He is doing. And the way that He answered you with that healing that started you in your prayer ministry, and then going back into Lyme symptoms deepened your walk and your relationship with Him. I think it even deepened your prayer ministry. I have been on the receiving end where you have prayed for me and what happens when you place your hand on me. And when you pray and ask for God’s intervention in things, it’s a powerful thing. And I think that comes because of the journey that you’ve walked with Him. Brandilyn: Yes, yes, I’m sure, I’m sure. As I say, God is very efficient. He can use one thing for the good of many in many different ways. Erin: But what I heard, Brandilyn, is that you struggled that second time for four years with this disease. Surely there were times that you had some discouragement. What did you do to keep writing and to keep coping with that everyday challenge of these physical issues? Brandilyn: Boy, I don’t want to sound like a cliché but honestly, I just kept in prayer. Sometimes that’s all you can do. The first time around when He miraculously healed me, He really taught me through that time because that time I started praying the Psalms when I could still read. I started praying the Psalms aloud, and He taught me how to praise Him. Even when I did not feel like it. And sometimes tears were running down my face because I was in so much pain, but He taught me to praise, because regardless of how I feel or whether I want to praise right now, He is worthy, and it is my will to praise whether it’s my feeling to praise at the moment. That was a huge teaching the first time around, and I’ve never lost that. And so, I kept that up the second bout. Karen: That makes perfect sense. Erin: That makes sense. So, what do you think is one thing our listeners could do today that would help them to go deeper into their life of prayer, in their writing journeys and in their lives. Honestly God is such a God of gifts, He loves to give us gifts. He loves to give us many, many wonderful things. But so many times I think He’s kept from doing it because they’re not good for our spiritual life because we can’t handle them. And so, if God has given us something that we can’t handle, we either need to learn to handle that in a Godly manner, I’m talking about good things now, not bad things. Or maybe God needs to take that. And maybe there’s a deeper lesson learned in learning to deal with things that you thought you need, but you don’t need, and seeing what God has in place of those things that we set our eyes on. That is scary, because it does happen, and God gets to choose. It’s kind of like writing Him a blank check, you know, and signing your name. Karen: I’ve talked with friends before about the fact that sometimes we get our hands so tight on what we think are God’s gifts for us or God’s purposes for us and we hold onto them so tight and do everything we can to make sure they don’t get away. But what we’re doing in that process is we’re keeping our hands fisted around what we think is God’s gifts for us, rather than keeping our hands open so that if He wants to remove that thing that we think is so wonderful, He can do that, but then to give us something even better. Brandilyn: To give us something more. Brandilyn: That’s right. It’s like the monkey that sticks his hand in the jar for a peanut but then he’s got a fist and he can’t pull it back out, but he won’t let go of the peanut. Karen: So he walks around for the rest of his life with a bottle on his hand. Erin: You know, you guys, I think that’s so much all about trust, right? It’s like if we could only trust. And that comes from seeing who God really is. If we could really see who God really is, how could we not trust Him? If we could even fathom one smidge of how wonderful and good He is, truly fathom that, then we wouldn’t be struggling with what we want to grip, you know? Karen: So Brandilyn, if there’s one last bit of encouragement or wisdom, a Scripture that you want to share with our listeners, have at it. Brandilyn: Let’s see…oh, of all the wonderful things I could say. You know, all you writers out there, God loves your writing and what you’re trying to do for Him. He loves you more. Your writing will expand and expound better, the closer you are to Him. And we writers can just spend—I know and listen, this is from experience – I spent so many years worrying about numbers and sales and oh my goodness I’m not selling enough and this and that. And that’s so easy for us to get hooked up in that we take our eyes off what God wants us to be focusing on. We so often just need to refocus and say, “Lord thank You for whatever sales You gave me this month.” And not want for more. “Lord what can You show me in my life that will make me closer to You and make me a better writer for You.” Look at it that way. In the last couple of years, I’ve had major changes in my life where I started to be looking at God in that way, and I have just grown so much in the last couple of years. Man, I would not give away what I’ve learned in that last couple of years for all the sales in the world, honestly. I’m leading such a richer life, such a richer life. How has prayer affected your life? What do you think about the idea of praying the prayer Brandilyn did: “Lord, whatever is between me and You, keeping me as close to You as I can be, deal with it. Take it away”? Best-selling author Brandilyn Collins shares powerful truths about why prayer is our most needed weapon. We’re grateful to our Patreon sponsor of the month, Wendy L. MacDonald! Find out more about Wendy at wendylmacdonald.com. I have to share another example of how awesome our God is. First thing this morning I received a prayer request from a friend, stating that a family member who suffers from Lyme disease needs prayer. After many unsuccessful treatments he and his wife were flying to Switzerland to pursue a treatment that offers hope. This family loves and serves the Lord. After praying over her request, I checked my other emails and there was this blog interview with Brandilyn. It had arrived four hours before my friends prayer request. I couldn’t forward this to her fast enough! What Brandilyn shared on prayer was so “check in my spirit” uplifting that I’m printing it out for me, but I had to share how her journey through Lyme disease and her book will be helping another victim. You are a blessing. That is just wonderful! God is so kind, isn’t He? Praying for your friend, and thanking God for your part in helping her. I was just at church this morning, praying. And God taught me to pray when He laid me up on the couch for three years so I attest to Brandilyn’s story. I have also seen God splatter and fling blessings far and wide through meagre circumstances and also the heavy lifting experiences of life and death. Karen, may I ask if you received an email from me about editing? I would love to have you screen my story. Amen to that, Nicola. God answers prayer in amazing ways!